People. Places. Pieces. The arts are everywhere! Share the Arts in Action! Take a selfie or picture or record a video of yourself with an exciting work or in your favorite art space. 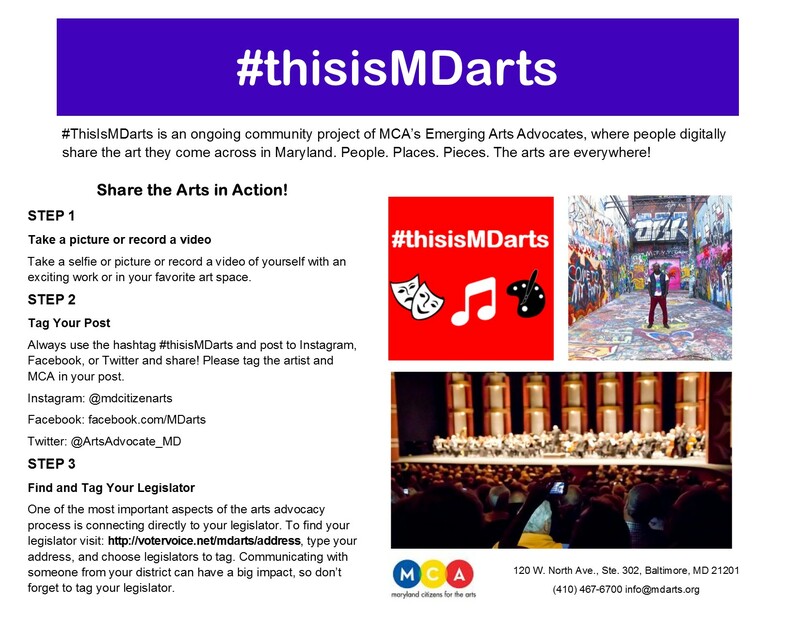 Always use the hashtag #thisisMDarts and post to Instagram, Facebook, or Twitter and share! Please tag the artist and MCA in your post. Once of the most important aspects of the arts advocacy process is connecting directly to your legislator. To find your legislator click here, type in your address, and choose legislators to tag. Communicating with someone from your district can have a big impact, so don’t forget to tag your legislator.